Pune based two-wheeler manufacturer, Bajaj Auto will be launching its all-electric Urbanite brand in India this year. And the first offering to wear this badge could be a scooter. Instead of retailing the Urbanite brand through the existing dealerships, Bajaj Auto will be setting up a completely new sales and distribution network in the country. We expect the first Urbanite two-wheeler scooter to launch in India in the next six to nine months. 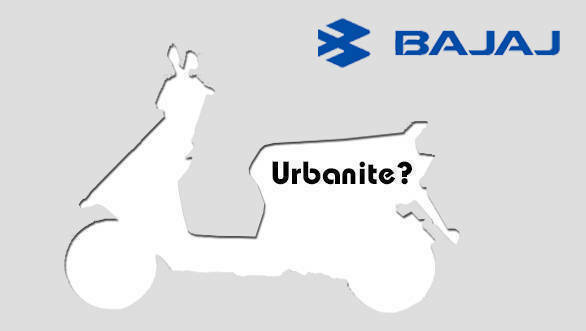 It was already known that Bajaj Auto has been working on the Urbanite brand for some time now. However, at the last month's event where Bajaj Auto announced its latest global brand identity, The World's Favourite Indian, Rajiv Bajaj, MD, Bajaj Auto confirmed that the company's first electric two-wheeler will be launched in the country soon. In an interview with MoneyControl, Rakesh Sharma, Director, Bajaj Auto stated, "With the Urbanite, we are really trying to look at innovative and very futuristic intra-city mobility solutions. We're starting with two-wheelers because that's the natural way of thinking for us. But I would not rule out other formats." This effectively means that the Bajaj Auto Urbanite brand will not just manufacture electric two-wheelers but will also foray into the commercial space with the three-wheelers and also an electric version of its quadricycle Qute. Last year, Mahindra Electric launched the Mahindra Treo range of electric three-wheelers in India at a starting price of Rs 1.36 lakh that features a zero maintenance, lithium-ion battery that has a battery life of more than five years.